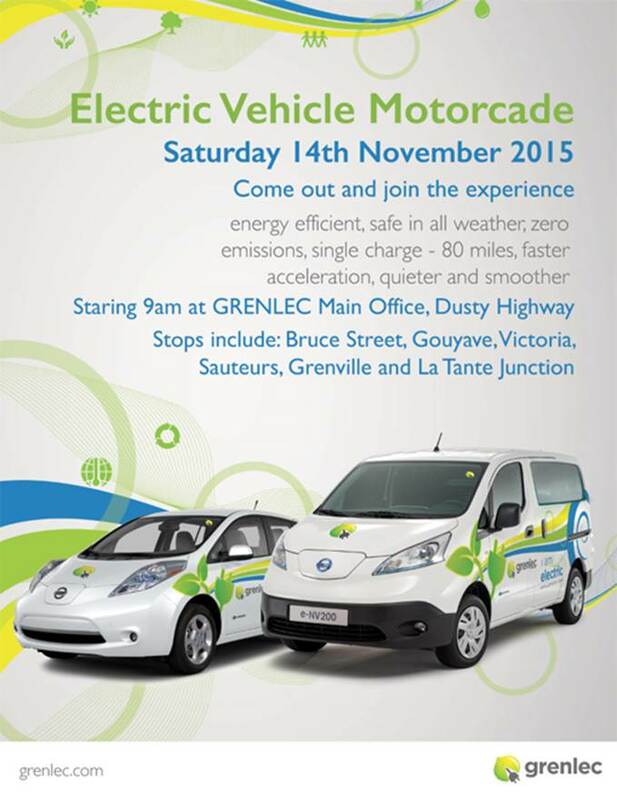 On Saturday, 14 November, Grenlec will be hosting its first Electric Vehicle island-wide motorcade. The motorcade will travel around the island starting from the Grenlec Corporate Office in Dusty Highway at 9 am, making stops at Bruce Street, Gouyave, Victoria, Sauteurs, Grenville, and the LaTante Junction. It is an opportunity for members of the public to view the vehicles in action, and also learn more about their energy efficiency. The motorcade will consist of Grenlec’s 2 electric Nissan Leafs and the electric Nissan e-NV200 van as well as branded Grenlec service vehicles. The motorcade is part of Grenlec’s Electric Vehicle pilot programme, which was launched in October. The pilot is in support of Grenada’s energy efficiency goals and is designed to not only test the energy efficiency of the vehicles but the range, cost savings, road performance and environmental benefits compared to conventional engine vehicles. Grenlec is inviting the public to join in the experience on Saturday.